Where can I find examples of investment deal memos written by venture capitalists? I write up an example VC investment memo, including the market opportunity, sales strategy and more. Healy Jones’s answer to Would you make your company aware if you saw that they accidentally paid you twice your usual paycheck, or keep it a secret? Turns out I thought that I had this situation, and when I brought it up the result was more humorous than anything else! 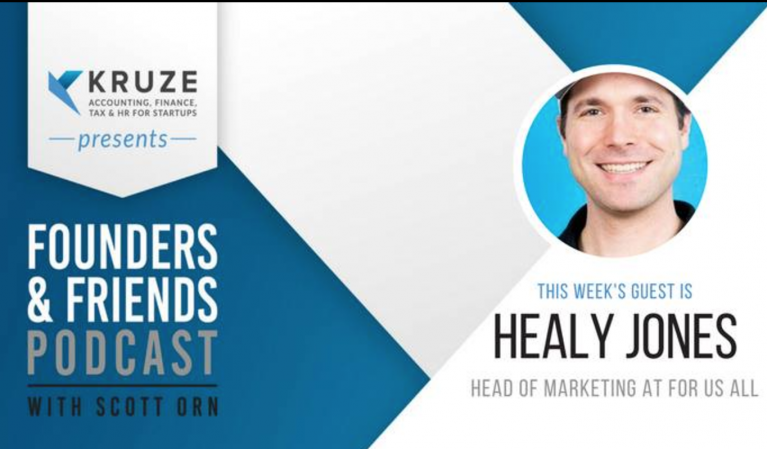 Healy Jones’s answer to How can being a capital efficient startup help with its exit? My main point: the more the startup raises, the bigger the exit has to be to satisfy the VCs. 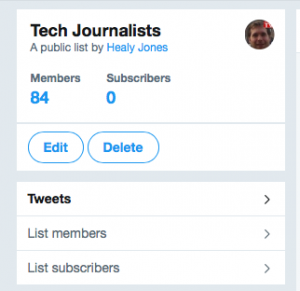 Private Twitter lists are a great way to keep up to date on a group of companies, competitors, thought leaders, journalists, etc. – without anyone knowing who you are following. 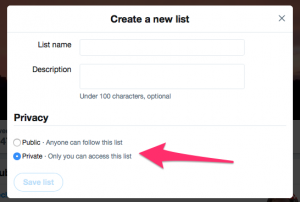 Why create a private Twitter list? 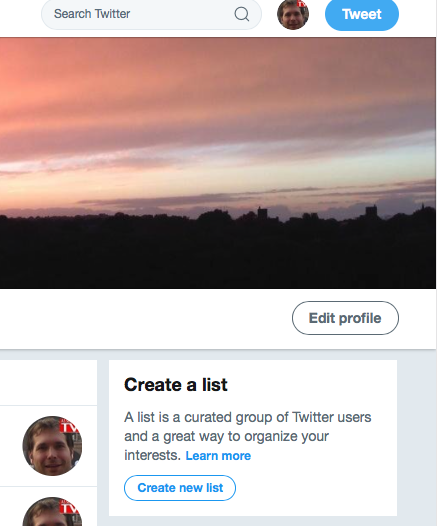 Twitter lists are like a modern RSS feed – you can passively watch a lot of different companies/people and know about interesting news, trends, etc – without having to actively do any real work. Keeping the Twitter list private means that the people you follow, and competitors, won’t know who you are following. This helps if you are following a list of customers and you don’t want your competitors to know. Or if you put a lot of time into creating a Twitter list that give you some kind of a competitive advantage and you don’t want someone else to benefit from you work. 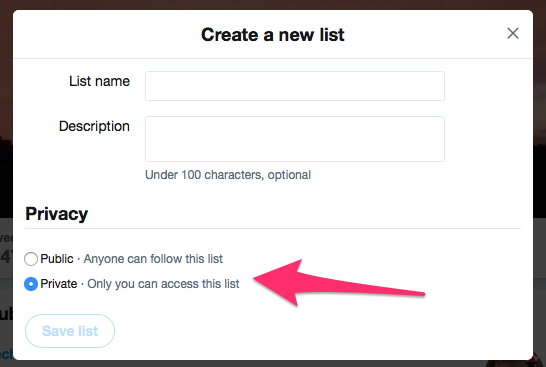 I found that it’s not easy to find information on how to create a private Twitter list – not really sure why, as it’s very easy. 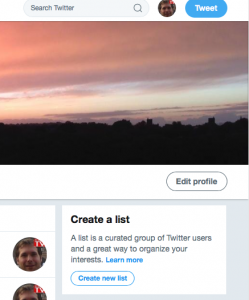 How do you create a private Twitter list? Add people to the list, and there you go! How do you make an existing Twitter list private? I’ve been making a ton of beans from scratch recently – and thought that I’d memorialize my little recipe. I use a crockpot, so it’s surprisingly simple. Six hours and really no work! Drop it all into the crockpot on low for 6 hours, and you are done! Besides the participant improvements, Scott is pleased because ForUsAll handles enrollment and payroll deductions, as well as Form 5500 reporting. “Previously, I had to enter everything in payroll by hand. Now, after an employee’s one-year eligibility period is up, I get an email that [he] is participating and that the deferral will be deducted from his pay. ForUsAll runs payroll reports and automatically debits deferrals,” she says. InvestmentNews: Young retirement robo ForUsAll scoring high employee participation rates. InvestmentNews reporter mentions how ForUsAll has reached $100 million in assets under management, and then mentions some of the reasons for our recent growth. In addition to convincing participants to save for their own retirements, the San Francisco-based firm appears to be presenting an effective argument to attract clients, as it grew assets on its platform to $100 million from $5 million at the start of 2016. As a reminder, I run marketing for ForUsAll. We are a technology enabled small and mid-sized retirement plan advisor. This means that we help SMBs improve their 401(k) plans by bringing them a suite of technology and our founders’ experience managing billions of 401(k) assets for Fortune 500 companies. This market is highly fragmented, with a number of 401(k) providers duking it out for market share. We help business owners and HR leaders find the right retirement provider, fund lineup, lower fees, and add on a technology stack that helps reduce their administrative workload and fiduciary responsibilities. Late in 2016, Scott Orn interviewed me for his company’s podcast. Scott’s company is Kruze Consulting, a startup accounting and finance firm. He has a great podcast, Founders and Friends, that interviews startup executives, venture capitalists, startup advisors, etc. I highly recommend it! Some of the things we talked about are how ForUsAll tries to make 401(k)s as easy as possible, while also being affordable. We went into some of the fiduciary risks that business owners take on when they offer a 401(k) plan, how fees get ‘hidden’ in various ways by traditional providers, and how software can help make administering a 401(k) so much easier. It’s a little bit of a ForUsAll review, done by someone working at the company! Listen to the Scott Orn / Healy Jones discussion! I’ve been looking for meat-free entrees that my daughter will eat – not so easy! But she does love beans and Mexican seasoning, so I melded together a few different versions of Mexican lasagna in the hopes that she would eat it – and that it would provide some nutritional value. And it worked! The thing I like best about this is that the next day, the corn tortillas soaked up the juices and became almost tamale like. Cook the quinoa with water, bullion, cilantro, oil. Let it cool. Turn oven onto 375 degrees. Cook the quinoa with the water, bullion, dried cilantro and a half a teaspoon of avocado oil. Add the refried beans, head up with some lime juice, add some mild salsa. Mix the corn and pinto beans in a microwave safe bowl, add some salsa and dried cilantro, head in the microwave to cook the corn to firm but not mushy. 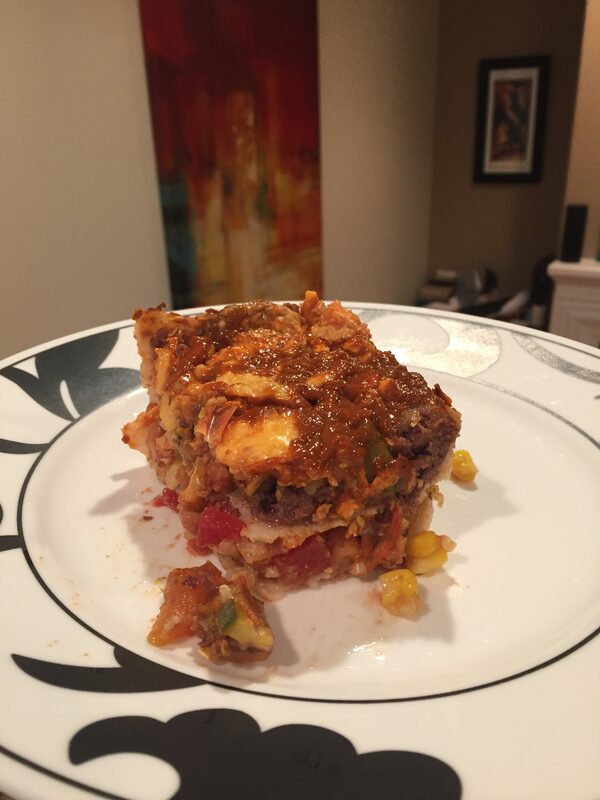 Pour a small amount of salsa into the bottom of a lasagna pan. Layer corn tortillas onto the bottom, rip the tortillas to pretty much take up all of the bottom of the pan. Put in all the quinoa in a layer. Add a thin layer of the tomatoes on top, then the corn and pinto beans. Then 1/2 the grated cheese. Then another layer of corn tortillas, the refried beans, the zucchini, the rest of the tomatoes, then some enchilada sauce, then the rest of the cheese. Cover with foil, bake for 20 minutes, take off foil, bake for another 20 minutes. I’m excited to announce that I recently joined ForUsAll! ForUsAll is focused on making 401(k) retirement plans available to small and mid-sized businesses. This is a market ripe for innovation. If a SMB does offer their employees a 401(k) plan, they end up paying high fees, dealing with administration headaches and often get less than ideal employee participation rates. ForUsAll is trying to change all of that using design and technology innovation. The founders come from a deep 401(k) lineage, having helped build Financial Engines – a major player in the Fortune 500 retirement benefit space. My role is to lead our nascent marketing team and I get to partner closely with our rapidly growing sales team. One of the things that most excited me about joining ForUsAll was getting to work with another fast paced sales team – I really enjoyed working with sales at Sunrun, and this is a tremendous opportunity to help shape an awesome sales and marketing organization. I’m also proud to say that we have recently announced our Series A venture capital raise, which you can read about here. I hope that I’ll have time to blog more about the strategies and tactics that I’m using at ForUsAll. One of my initial goals has been to generate content for the company, so I’ve been writing and editing a ton. This means that I’m back in the groove of writing – awesome! But it also means that I’m busy writing like crazy for my day job, which may make it harder to produce content for this blog. Now that I’ve left ForUsAll, I’ve put together some “industry insider” reviews of fintech 401(k) companies. You can read a Guideline 401(k) review here, and a ForUsAll 401(k) review here, and a Human Interest 401(k) review here. For some reason, Zin’s and I have grown apart recently. I used to be a huge fan of young, lush, jammy zinfandels, but am suddenly seeking more balanced wines that mellow well over the evening. 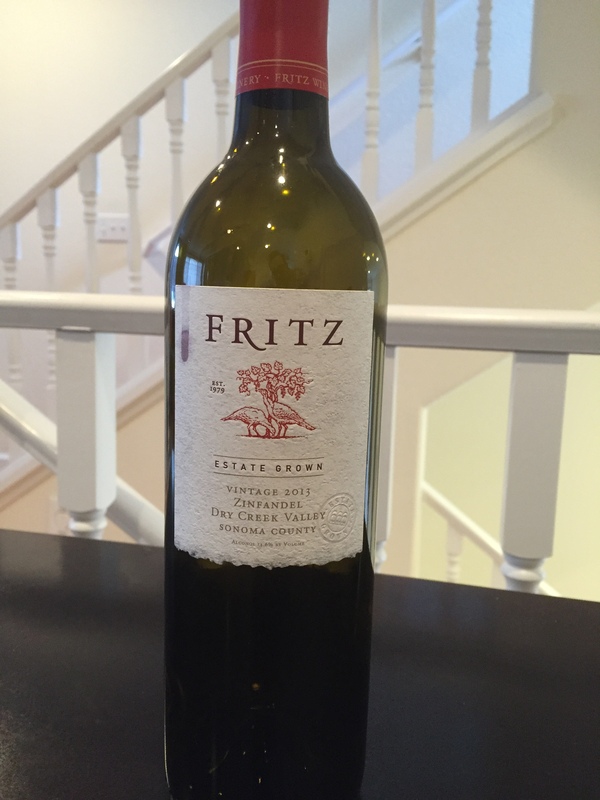 The 2013 Fritz Estate Grown Zinfandel turned me back onto Zin’s in a big way. It’s got the bigness that I loved in Zinfandels, but somehow with a nuanced smoothness that didn’t leave me feeling like my teeth had turned purple. This wine has a solid nose of some kind of dark fruit, like cherry. I loved the dark red, but not purple, color and the texture was just how a great Zinfandel should be, thick and luscious. Hubspot published a brilliant article on using old blog posts to drive leads. I’ve used this tactic as a one off, in particular at OfficeDrop, but the idea of doing it as an optimization strategy is great. Figure out which ones are the real drivers, in terms of traffic and lead gen.
Seek to update the ones driving conversion to get more traffic and improve conversion. Improve the conversion rate on the ones driving traffic, but with few leads. I’d add a backlink strategy to push juice from posts that Google likes and point them to pages on your site where you are building authority. It’s a great post and excellent strategy. Old blog posts are not sacred; in fact Google loves updated content. And you social media followers probably will too. Fidelity, the mutual fund giant, is marking down a number of later stage, venture funded companies’ valuations again. Fidelity got into the later state investing game a while ago, and from what I’ve heard, there is a private company investment group that negotiates investments in these late stage (i.e. unicorn type) companies, and the individual mutual fund managers can decide if they wish to invest in any of the particular companies. Fortune is reporting that about half of the major unicorns that Fidelity invested in have come down in valuation since the end of 2015. I’m not entirely sure of the exact dates, but the trend is clear – late stage company valuations are continuing to decrease. This isn’t surprising, given that last year was not only a horrible year for tech IPOs (the traditional ‘exit’ of unicorns) but also that about half of 2015 IPOs are trading below their IPO price. Techcrunch has a depressing piece on 2015 tech IPO performance.